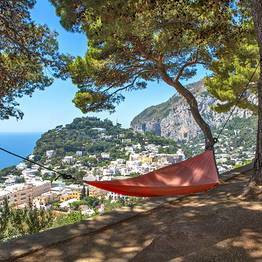 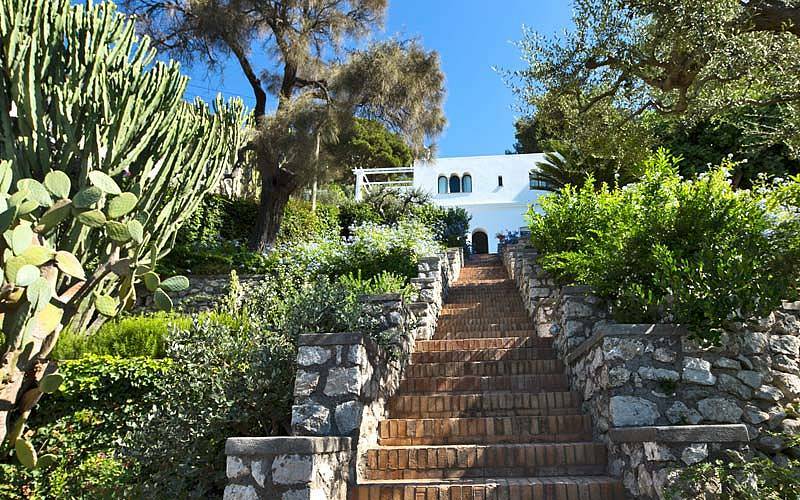 If you've ever dreamed of staying in a villa on the island of Capri, it's time you made your dream came true - at Villa Paradiso! 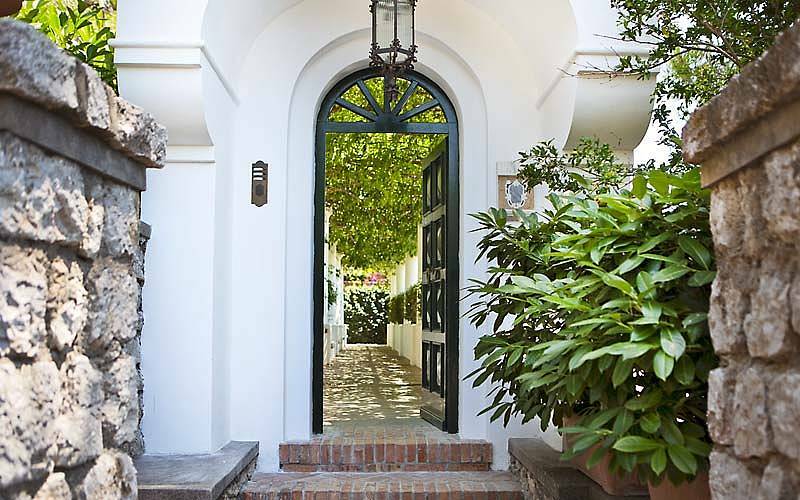 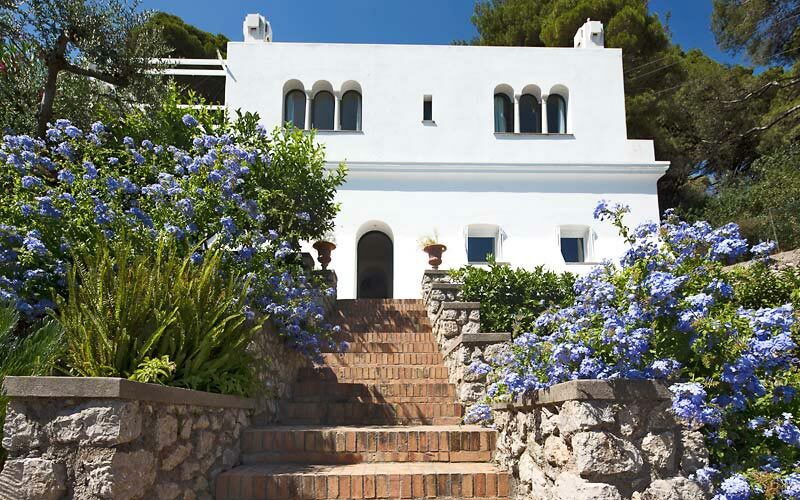 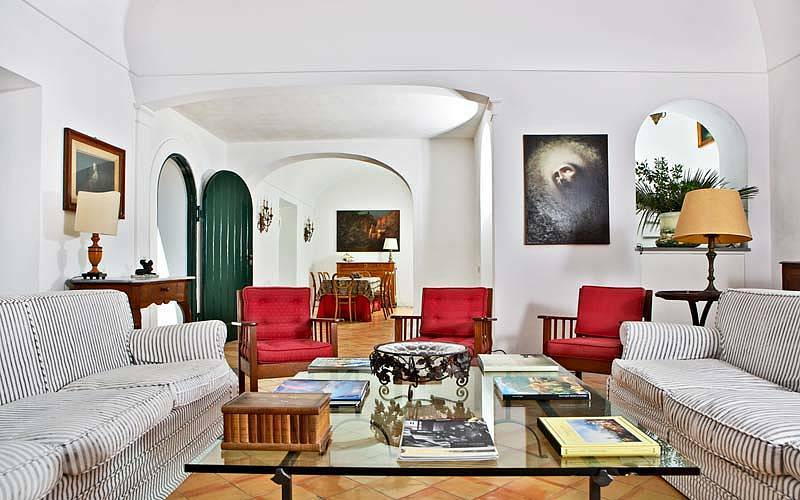 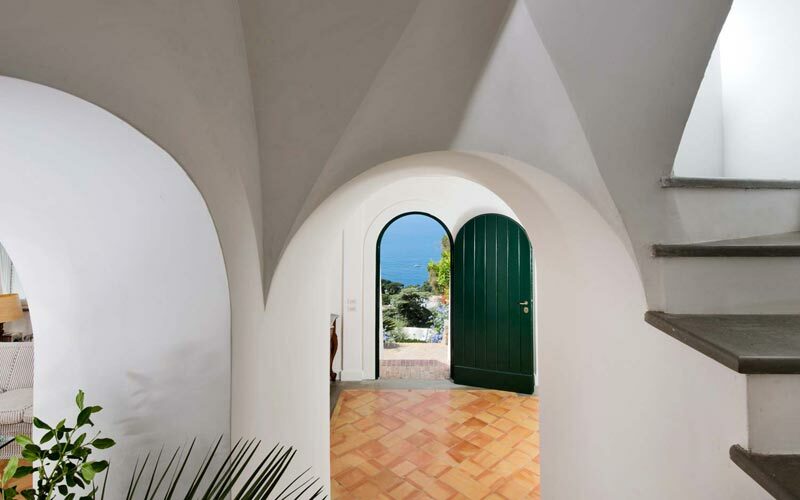 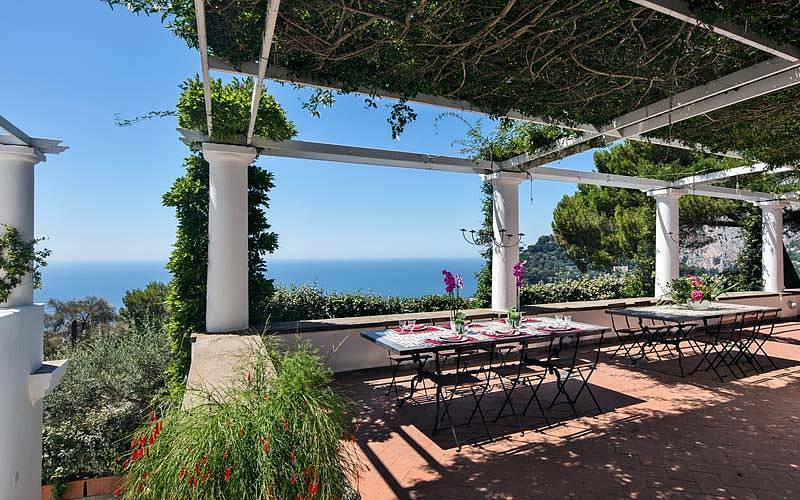 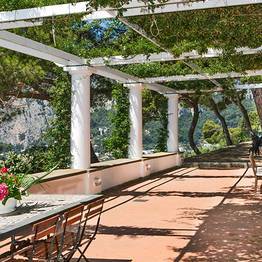 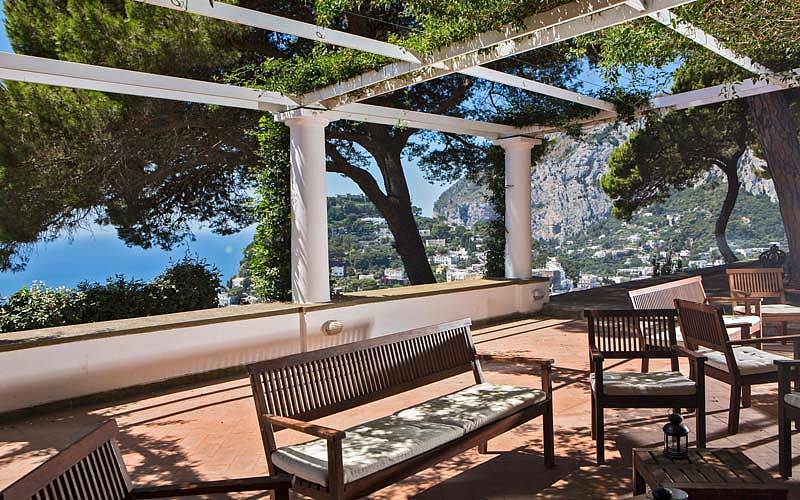 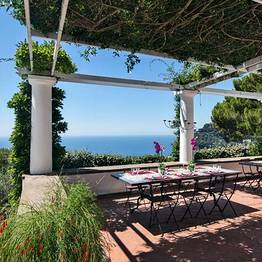 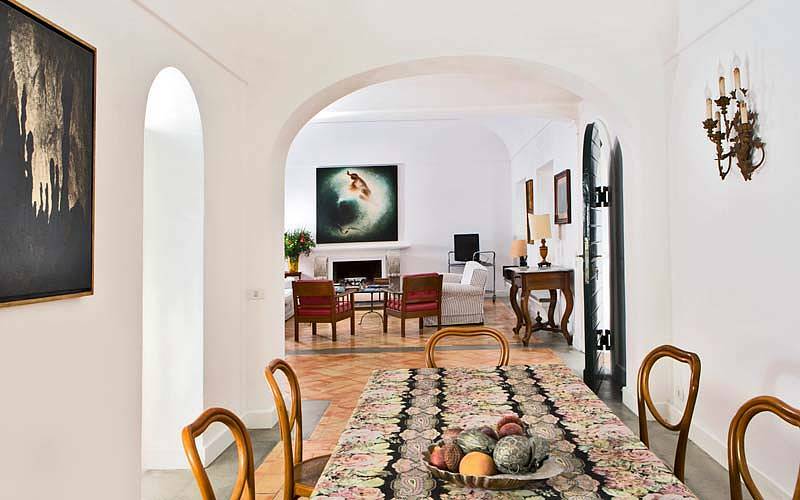 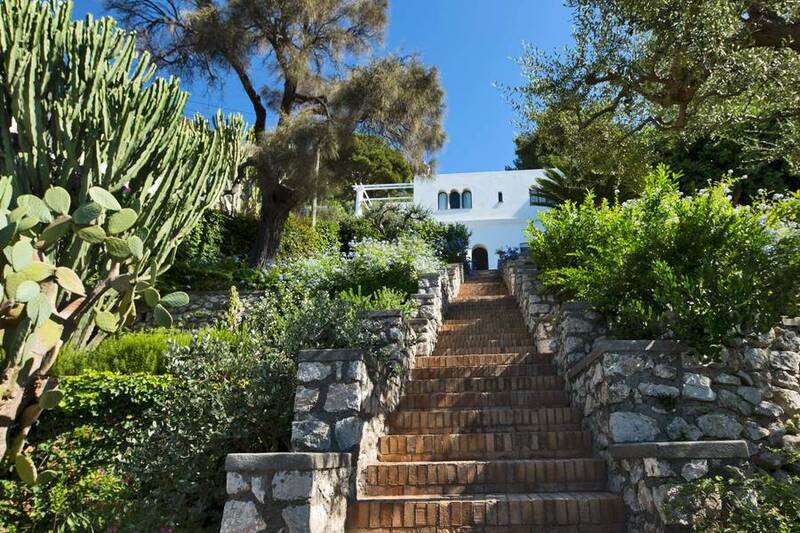 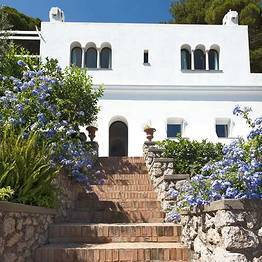 One of very few period homes in Capri, this luxury villa on the sunny, south facing slopes of Monte San Michele is now available for exclusive weekly let. 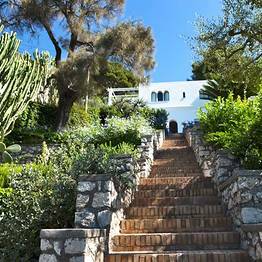 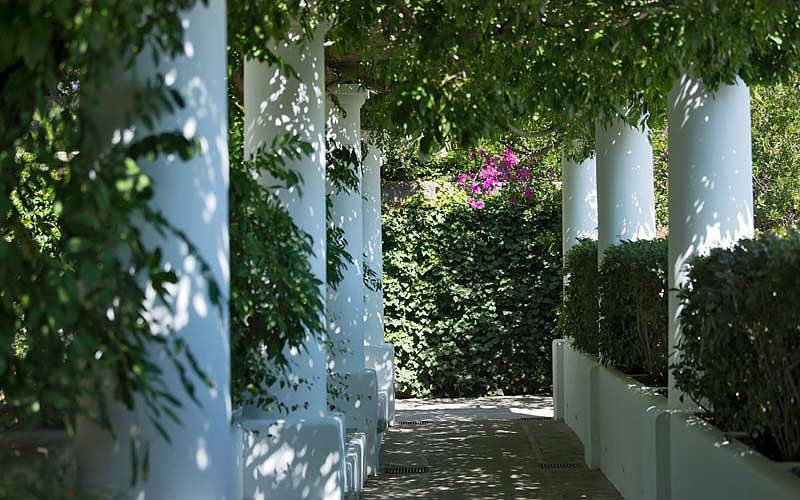 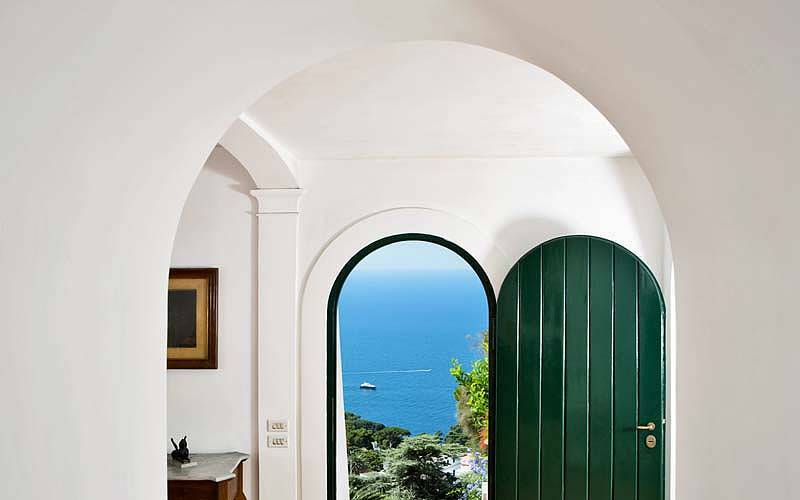 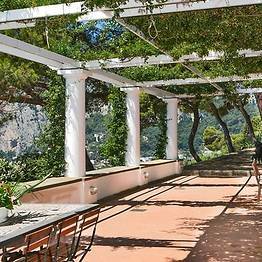 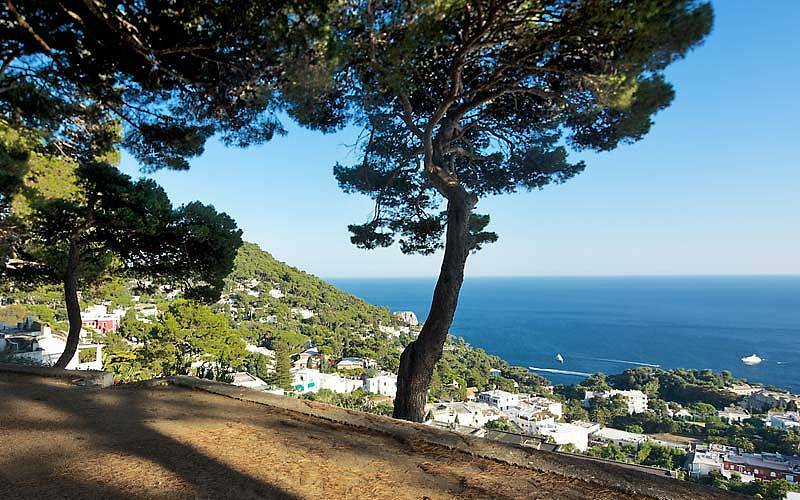 Walk out onto Villa Paradiso's terraces and it's easy to see how this finely restored period property gained its name... from here the view extends out out over the white roofs of the houses of Capri on the slopes beneath the villa all the way to the shimmering Mediterranean sea. 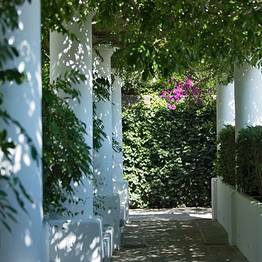 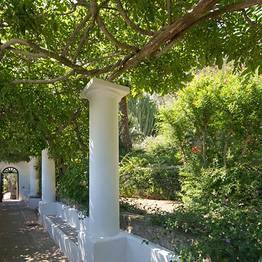 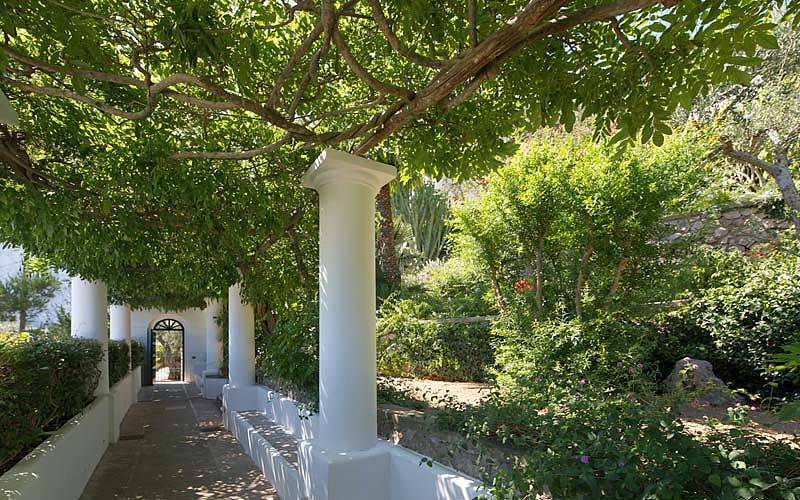 A paradise to be enjoyed all year round: in the summer, sitting in the sun by the panoramic swimming pool or in the shade of the pine wood which surrounds the villa; in the winter, snuggled up in front of the period fireplaces in the villa's perfectly heated sitting rooms. 5 bedrooms, 7 bathrooms, two kitchens, a living room with open fire, a dining room and a large terrace furnished with antique tables for 28 people and garden furniture in the highest quality teak: Villa Paradiso! 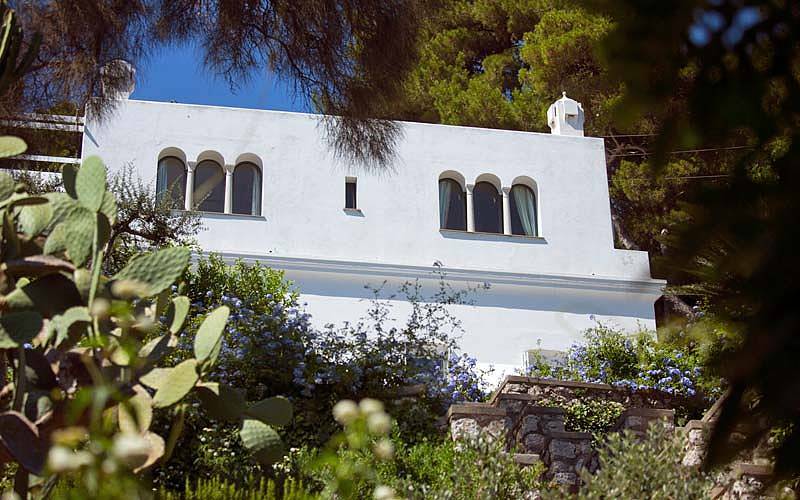 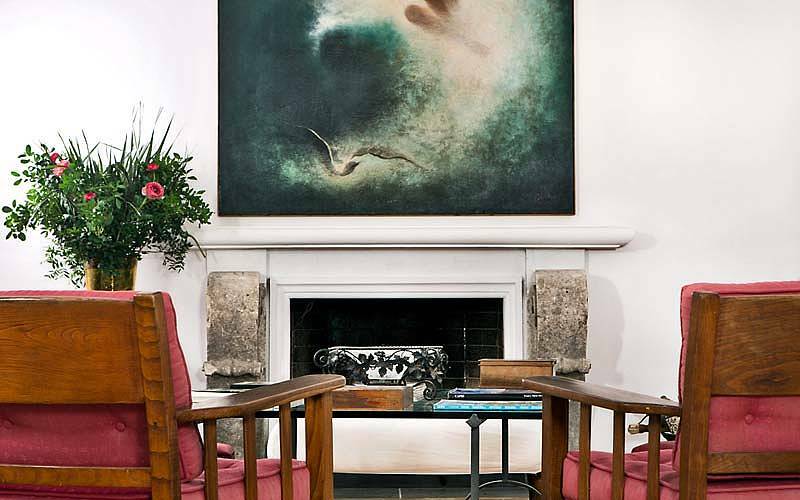 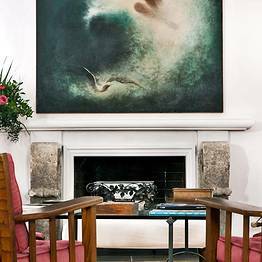 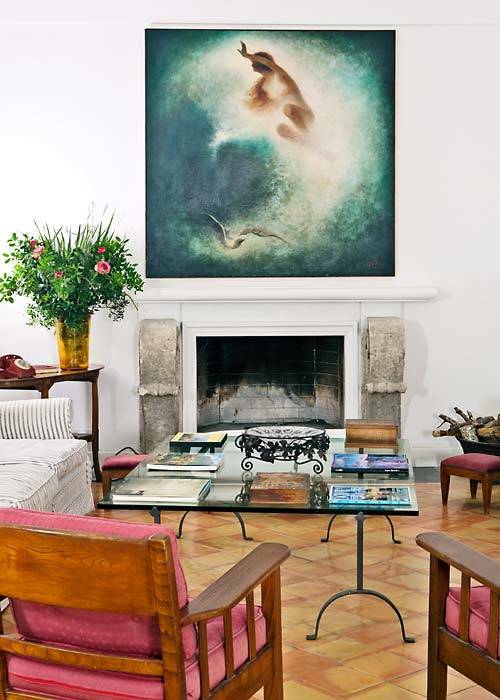 Adorned with numerous prints and paintings depicting the island of Capri, Villa Paradiso is home to the world's largest private collection of works by Karl Wilhelm Diefenbach ( an artist to whom a museum has been dedicated in Capri's Certosa di san Giacomo). 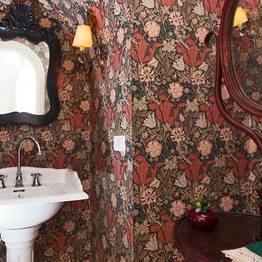 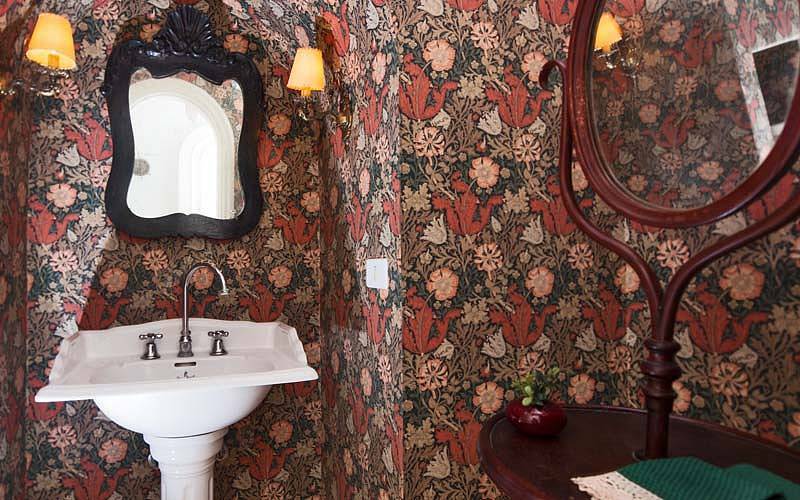 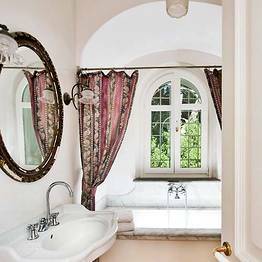 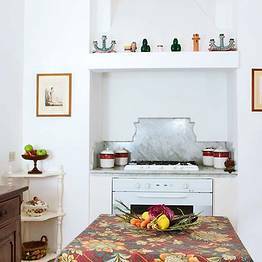 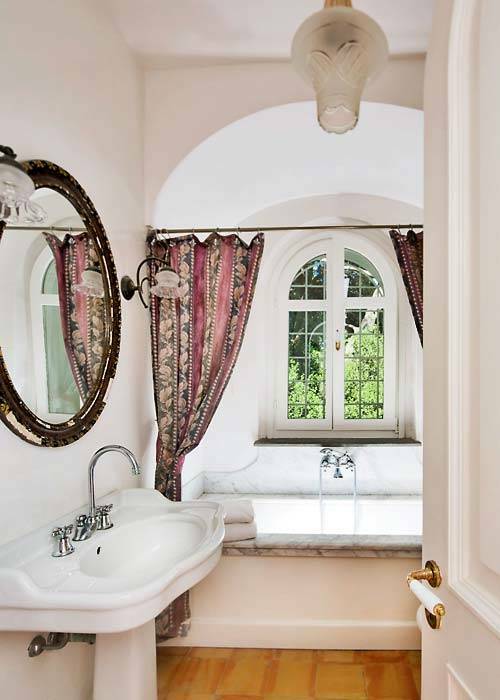 The same elegance which characterizes the communal spaces can be found in the villa's five en suite bedrooms, all of which are decorated with precious antiques and "toile de Jouy". 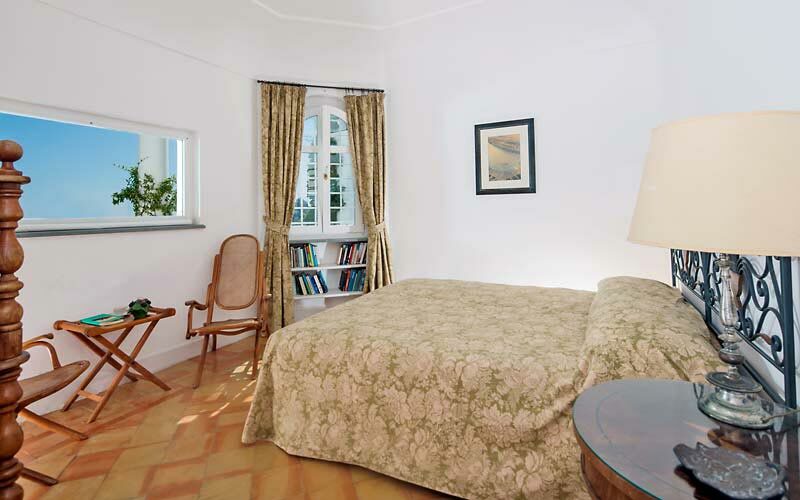 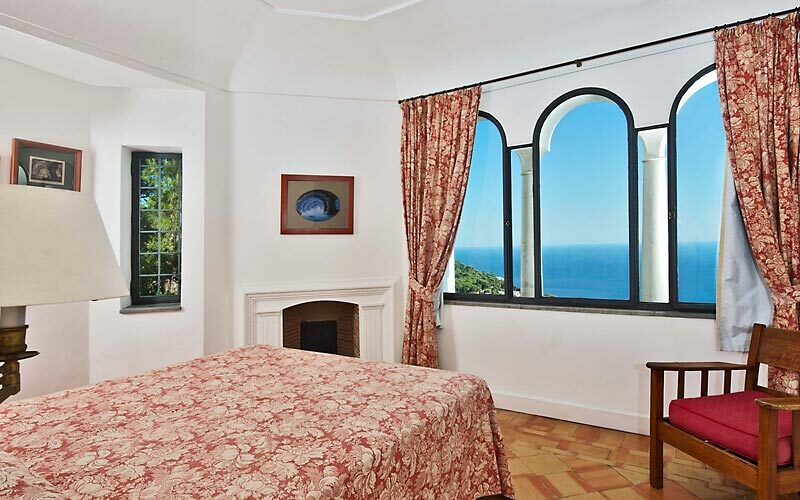 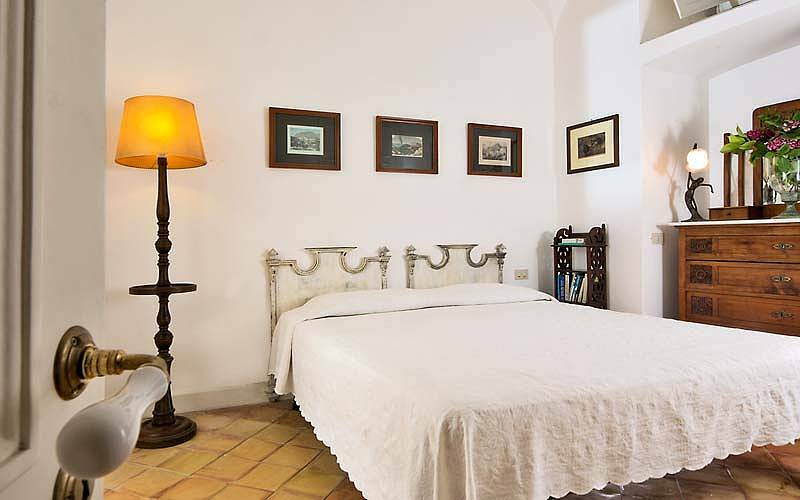 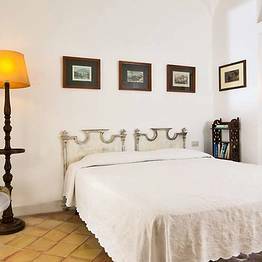 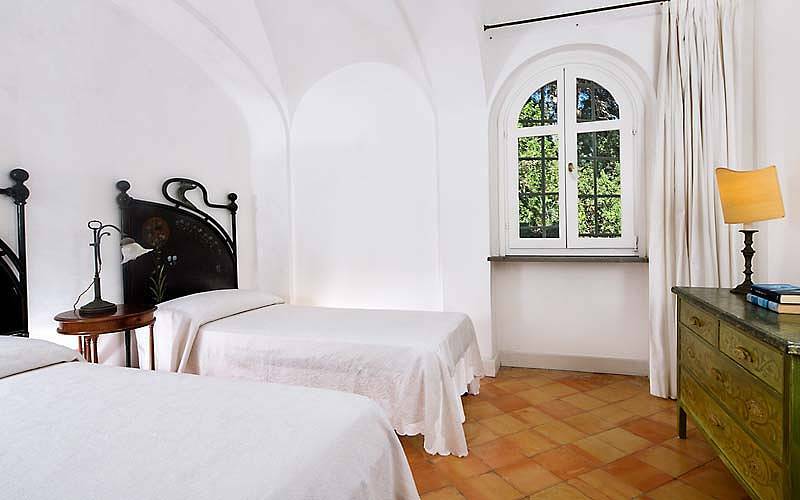 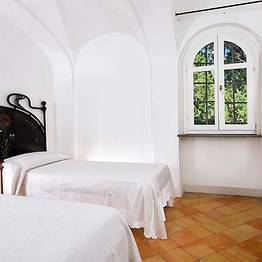 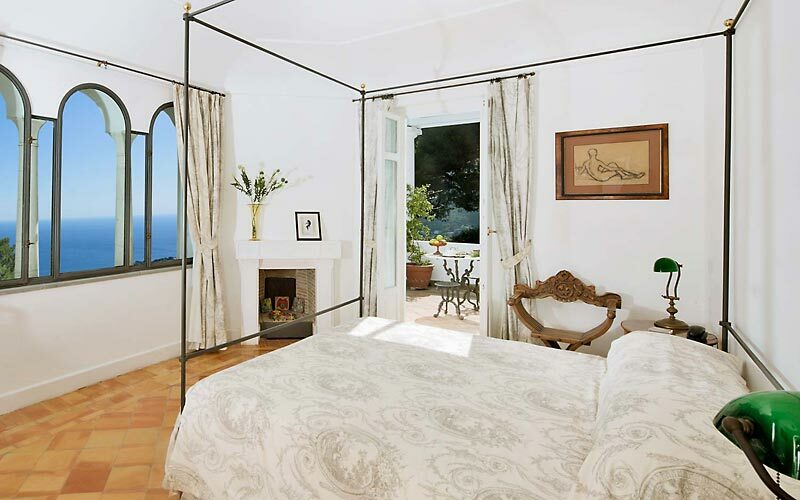 Trefoil windows, four poster beds and ornamental fireplaces are just some of the features you can expect to find in Villa Paradiso's master bedrooms. 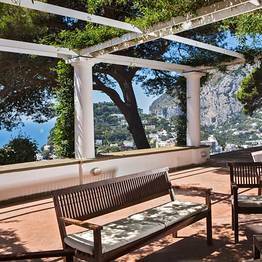 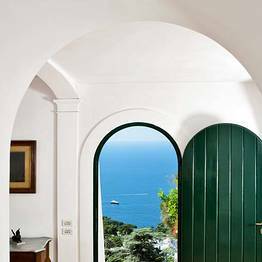 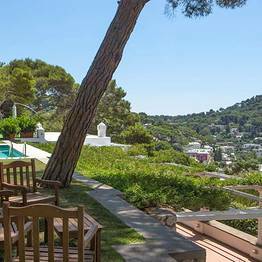 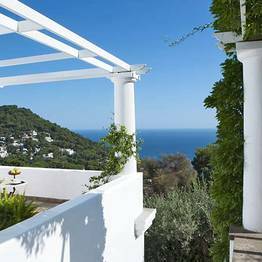 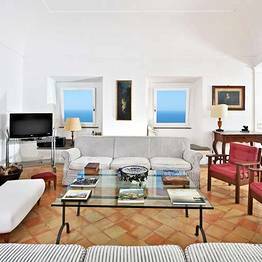 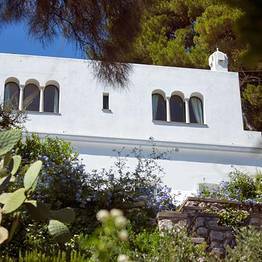 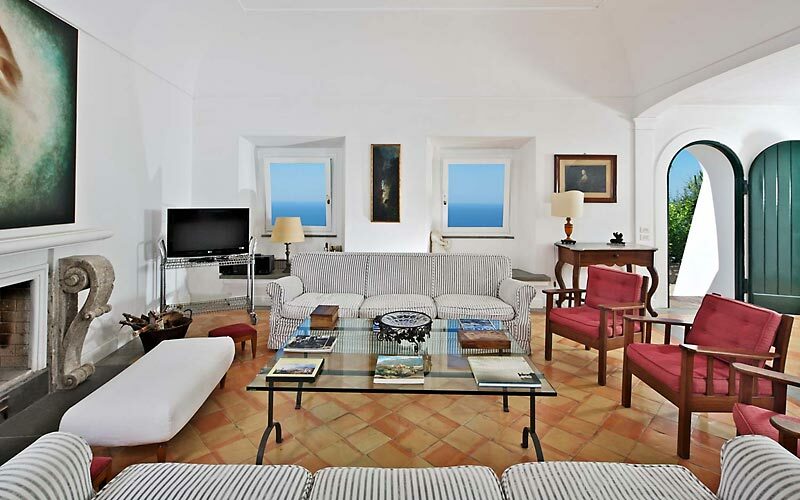 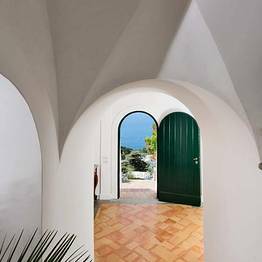 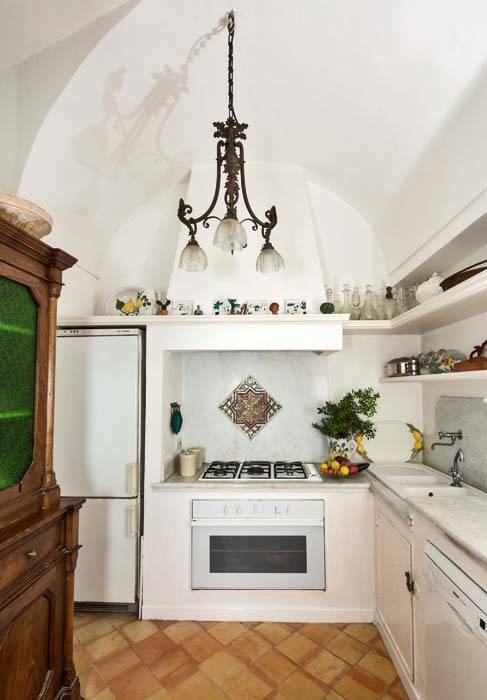 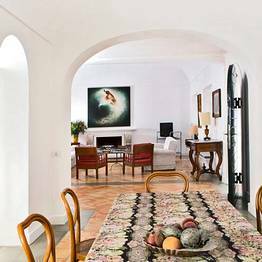 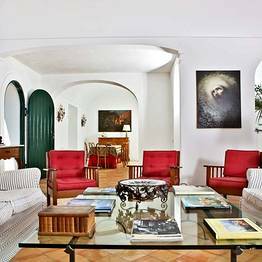 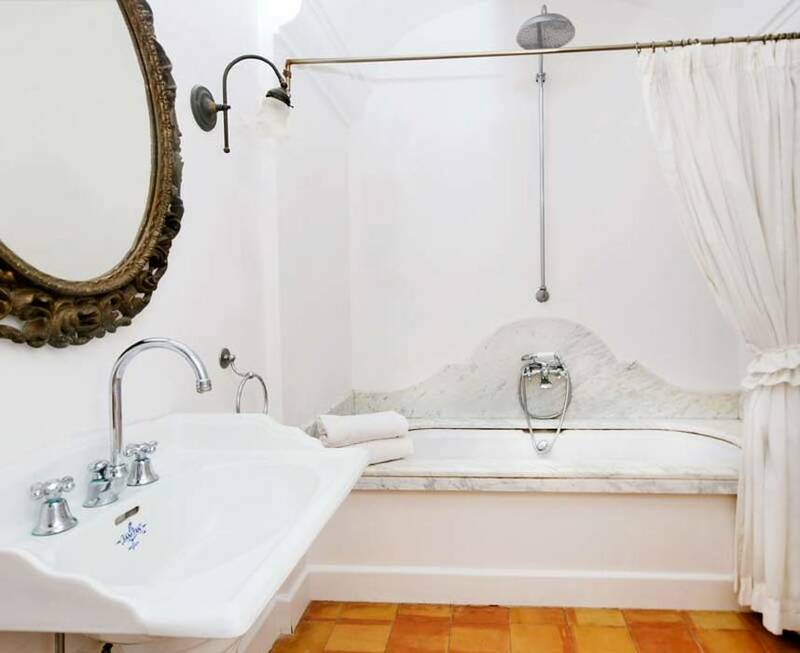 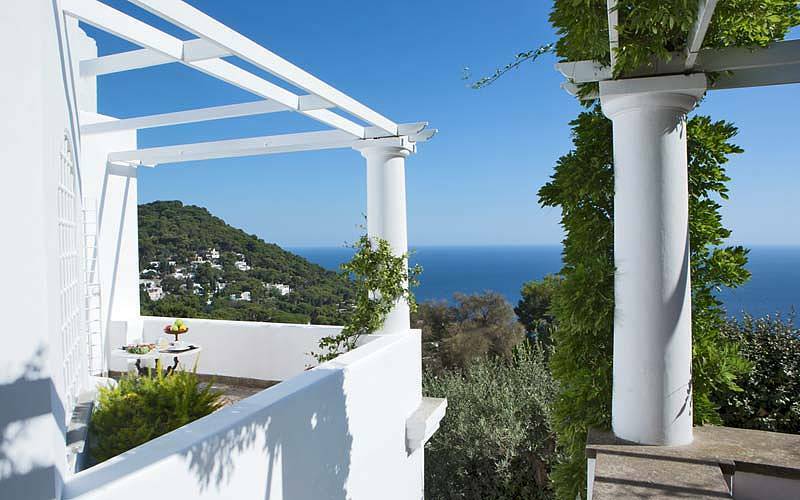 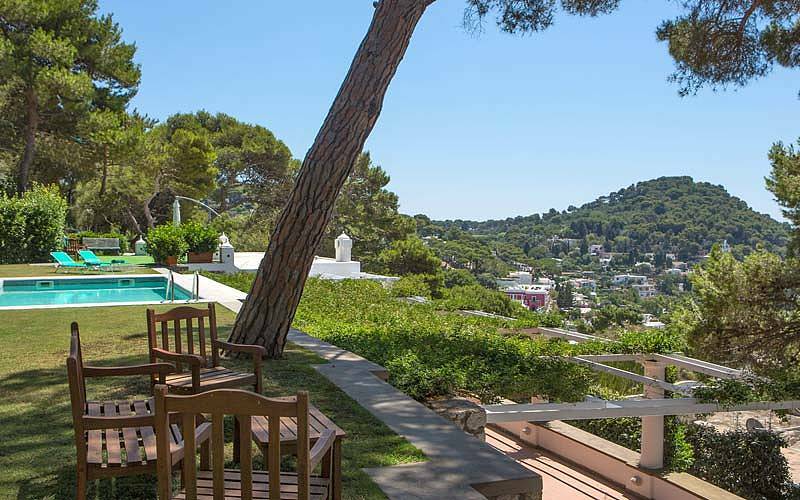 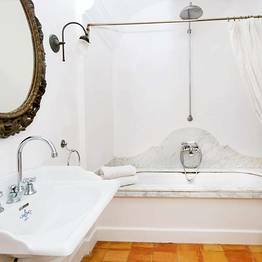 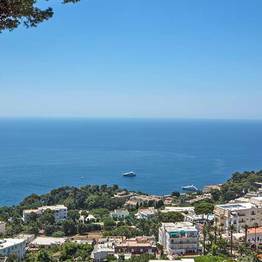 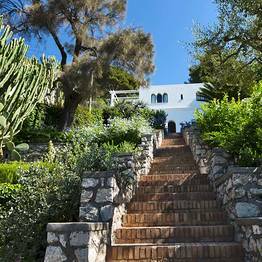 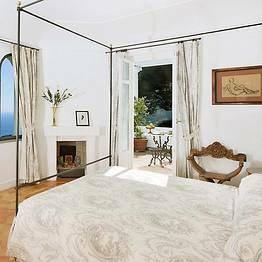 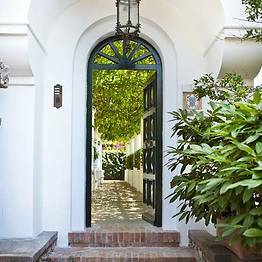 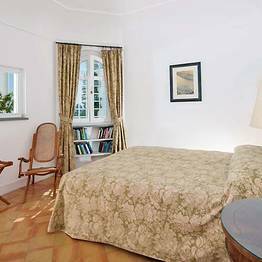 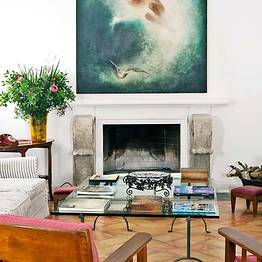 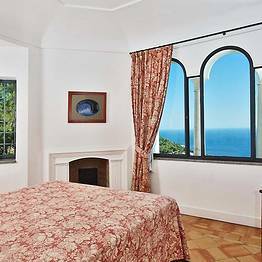 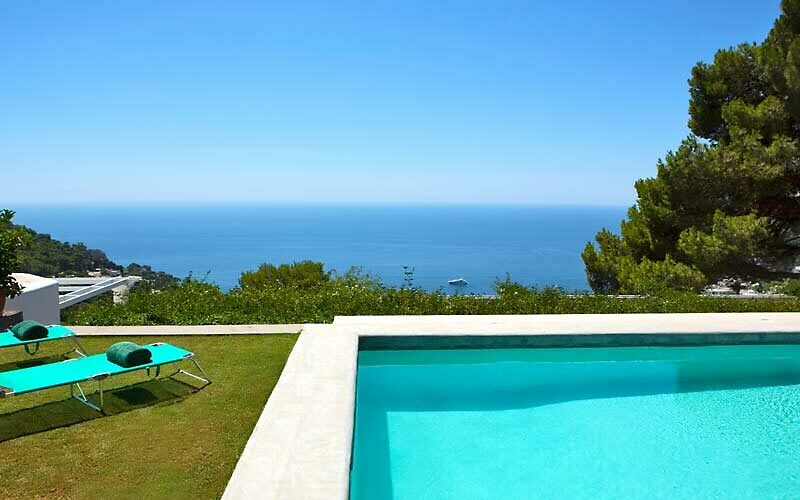 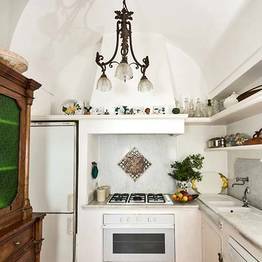 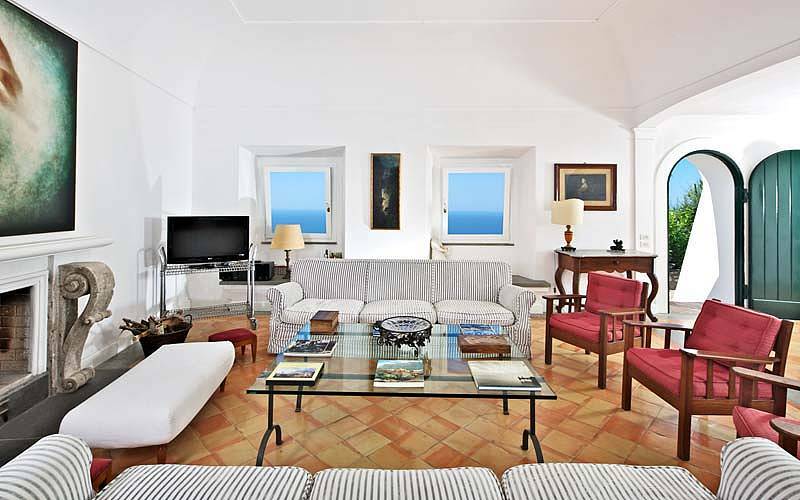 The privacy and exclusivity of a villa in Capri, the services of a hotel: rent Villa Paradiso and daily cleaning and continental breakfast are included in the price! 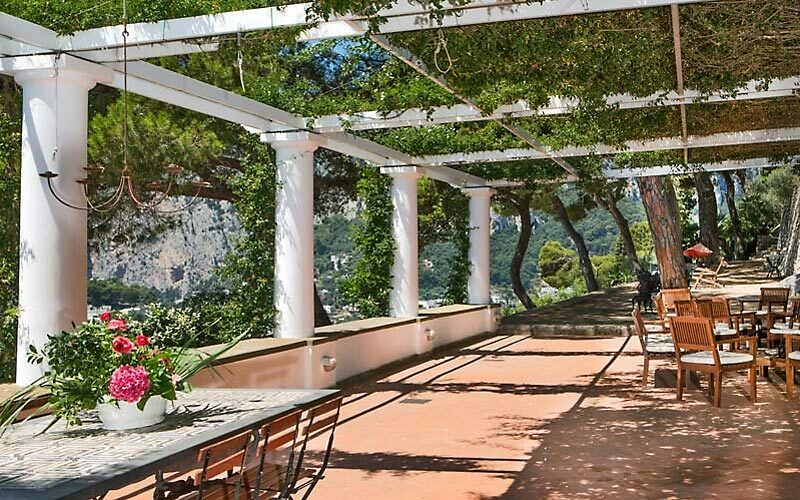 Two kitchens, large dining rooms, a 3250sqm garden, breathtaking views: Villa Paradiso is the perfect location in which to host a truly unforgettable event. 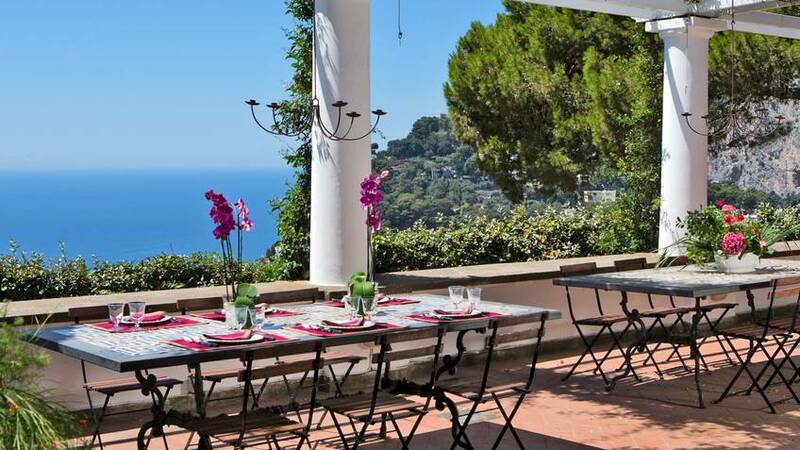 Add the professional catering service, floral decorations and logistics provided by Villa Paradiso's events partner, Capri Catering, and you can see why events held at this luxury villa are so special! 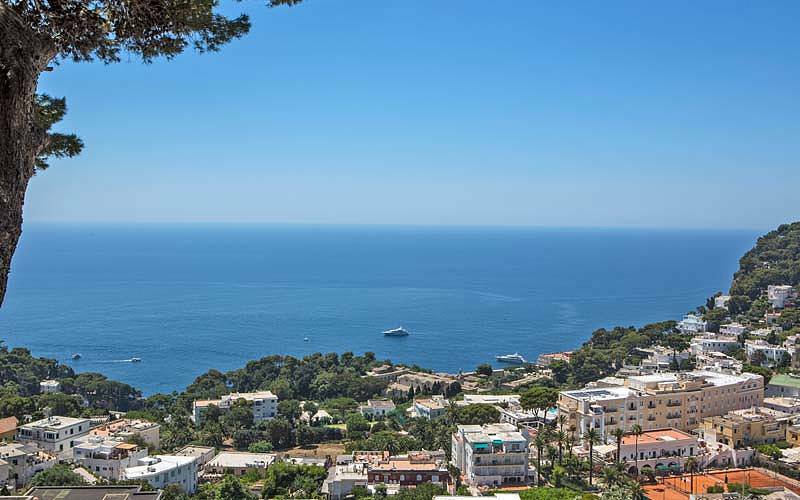 Be prepared: the view from Villa Paradiso is likely to take your breath away. 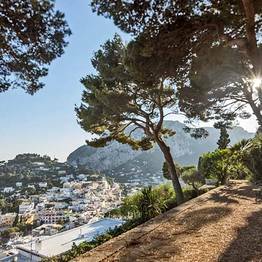 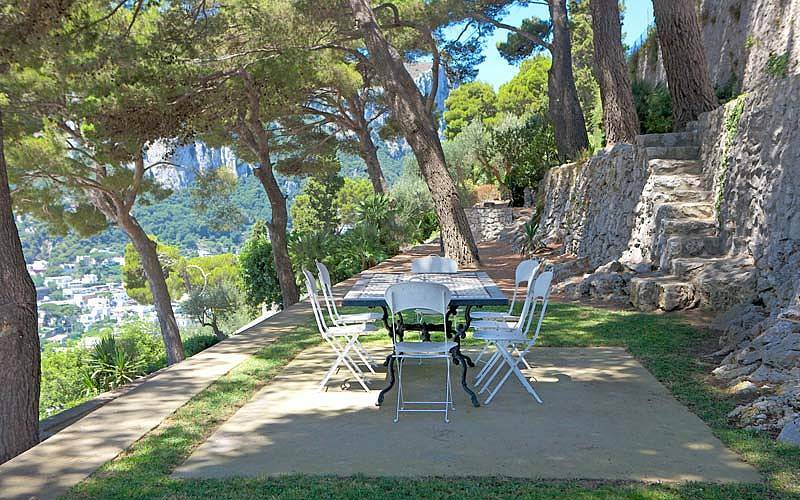 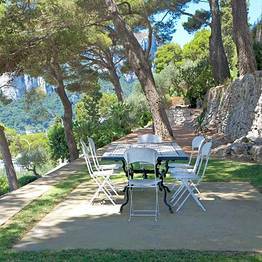 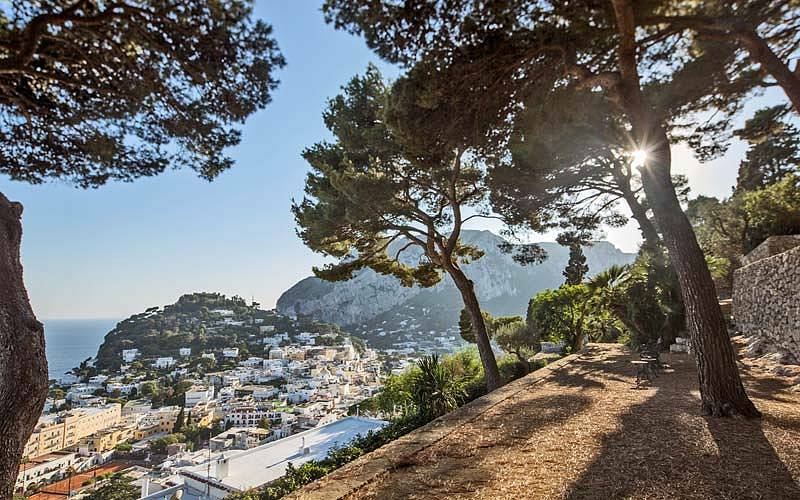 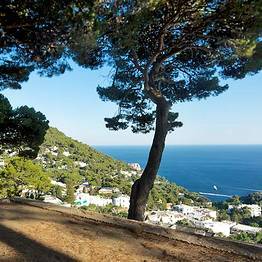 And so it should, given the panoramic location on the slopes of Monte San Michele, just above Capri's legendary Piazzetta. 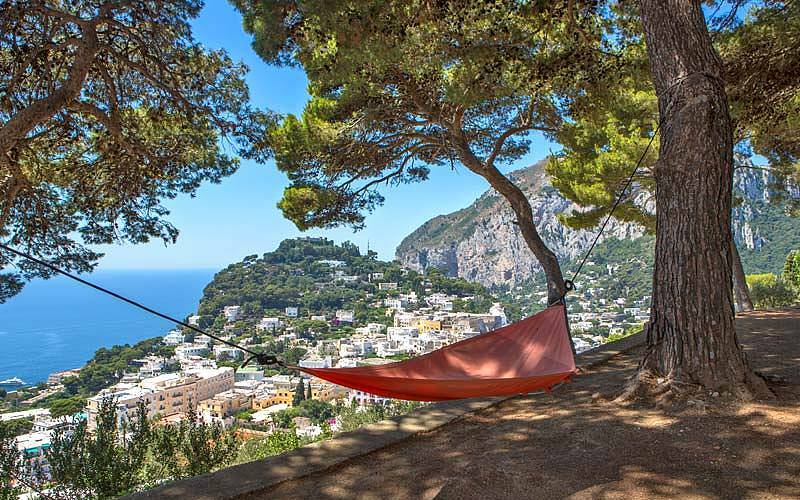 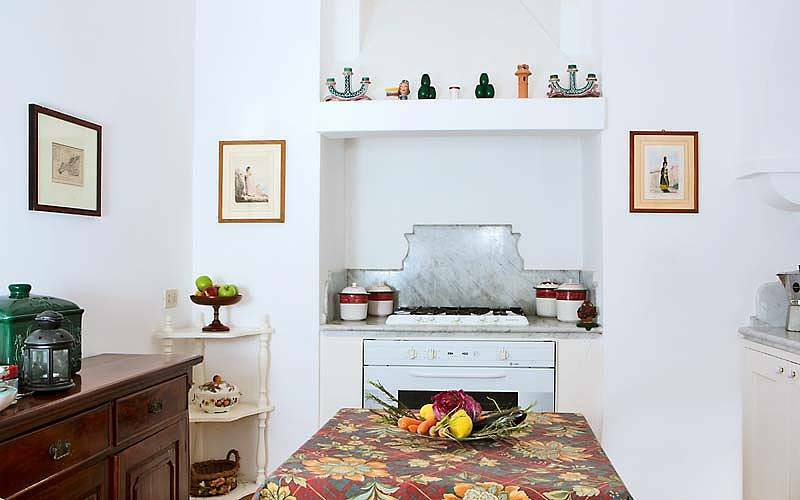 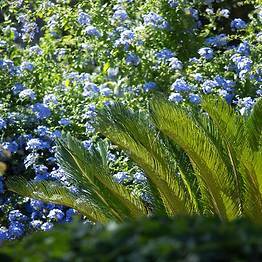 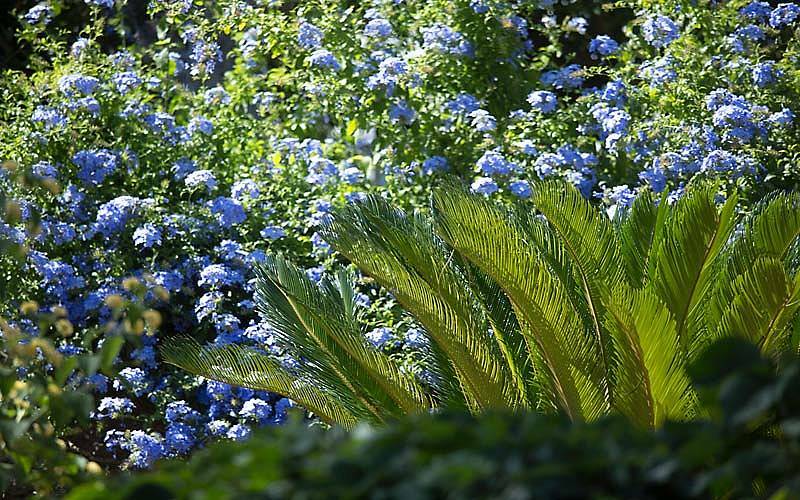 The heart of the island's glamorous social whirl, close to the main bus stop, taxi stand and funicular railway; the Piazzetta is only a short walk away from sights such as the Gardens of Augustus, the Tragara viewing point and Via Krupp.